The philosophy of Lingayatism was propounded by Basavanna who was a social reformer, Kannada poet and philosopher of the 12th century. He was active during the reign of Kalachuri dynasty King Bijjala I in the present day state of Karnataka. Basavanna also initiated a movement names Virashaivas which means ardent followers of Lord Shiva. This is the reason that the terms Lingayatism and Virashaivism have been many a times used synonymously. So Lingayatism was one of the Shaivite religious tradition which was centred around Lord Shiva. The society was of 12th century Karnataka was severely marred by caste restrictions, feudalism and Brahmanical Hindu values. The Karnataka Brahmanical society of that time was predominantly centred on Shiva Bhakti. The Lingayat sect rose against the Shaivite Brahmanical traditions of discriminatory Hindu social traditions like wearing of sacred thread, caste distinctions etc. but they kept Shiva bhakti at the centre of their faith. This means that they wanted to purge the society off its prevalent evils. Basavanna's aim was to propagate the feeling of brotherhood, equality and freedom. A wider tradition of Bhakti movement was going on in South India since the 8th century. The Lingayat sect origin can also be traced in the Shaiva Nayanar traditions which was there from 7th to 11th century. 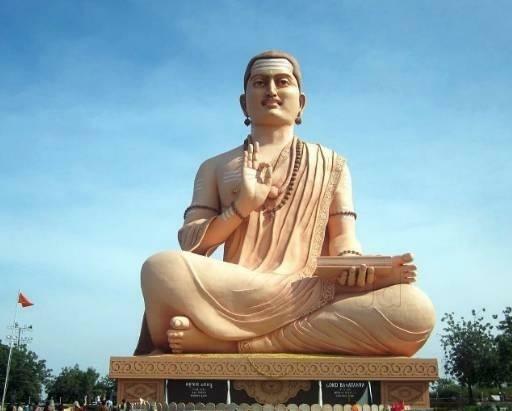 Basavanna also promoted devotional worship but rejected the concept of temple worships and rituals. Almost all the Bhakti traditions revolved around reforming the Hindu religion but according to some historians the case of Lingayat tradition is slightly different. Lingayats challenged Hinduism at its roots and become a properly organised movement which led to the strict institutionalisation of the values that other Bhakti traditions were presenting as a reform. Lingayat Bhakti movement in Karnataka transformed itself into a cult and became hereditary in nature which did not happened with other Bhakti traditions. However in order to counter this argument in can also be said that Lingayats have many traits which make them a part of the Hindu culture. One reason is the association of Ligayatism with Virashaivism. Some historical evidences say that Lingayatism and Virashaivism is entirely different and many consider them to be the same as told at the start of the lecture. One difference is that Virashaivism adopts discriminatory social practices and Vedic texts which are severely refuted by Lingayats. There is a big debate on whether Basavanna found the Lingayat sect or was a mere reformer of the Virashaiva tradition. Lingayat sect also includes in its teaching many aspects of Hinduism, Buddhism, Jainism, Upanishads etc. So it is big controversy whether Lingayats are Hindu or not and can not be answered convincingly.